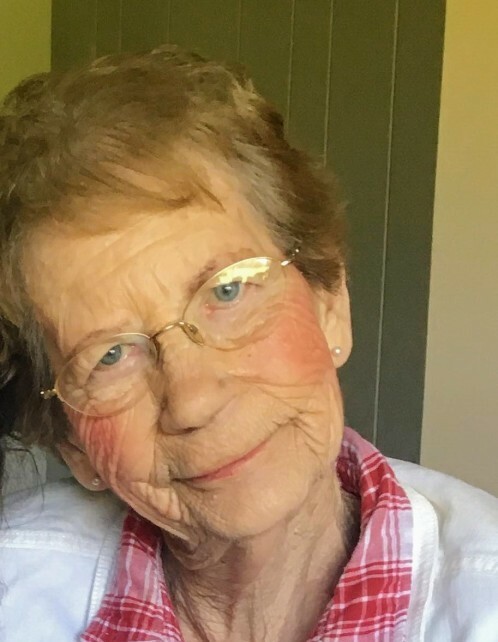 Martha Frances Olin, 88, of rural Alexis, IL, passed away at 10:45 pm, Tuesday, November 20, 2018 at OSF St. Mary Medical Center, Galesburg. She was born December 6, 1929 in Kewanee, IL, the daughter of Arthur William “AW” and Clona Gail (Washburn) Boley. Martha was raised and educated in Kewanee and graduated from Kewanee High School in 1947. She later graduated from Western Illinois University with her Bachelor’s degree in Home Economics Education in 1951. Martha married John William Olin on February 23, 1957 at St. Theresa Catholic Church in Alexis, IL. He preceded her in death on January 17, 1985. Martha was a Home Economics teacher in Alexis High School, United Township High School in East Moline, and later in suburban Chicago before returning to the Alexis area upon her marriage. She dedicated her life to homemaking, raising her family on the family farm with her husband, John. Martha was of the Methodist faith and joined her family in attending St. Theresa Catholic Church in Alexis for many years. She was a member of the local bridge club, a 4-H leader, and enjoyed going to coffee at Alexis restaurants. She was an avid Chicago Cubs, Bears, and Illini Fan. She enjoyed sewing, cooking, reading, the farm, and home. Martha was a doting mother and grandmother and lived for her family. She enjoyed going to her grandchildren's events and visiting with friends. Surviving Martha are two daughters, Lisa (Mike) Meloy of Bettendorf, IA, Laura (Randy) Junk of Galesburg, IL; two sons, John (Julie) Olin of Alexis, IL, Joe (Brigitte) Olin of Madisonville, LA; fourteen grandchildren, John Meloy, Maggie Meloy, Laura Meloy, Daniel Junk, Luke Junk, Emma (Chris Hollis) Junk, Ellen Junk, Matthew (Corey) Olin, Meg Olin, Eli Olin, Shafer Mendoza, Rachel Mendoza, Aubrey Olin, Averie Olin; and one great grandson, Ezra Thomas Junk. She was preceded in death by her parents, husband; two brothers, Rev. Robert Boley and John Boley; and one sister, Marge Robbins. Funeral Services will be at 2:00 p.m., Sunday, November 25, 2018 at McGuire & Davies Funeral Home and Crematory, Monmouth. Interment will be in Norwood Cemetery. Visitation will be 3:00-6:00 p.m., Saturday, November 24, 2018 at McGuire & Davies Funeral Home and Crematory, Monmouth. Memorials can be made to the Alexis-North Henderson Ambulance Service.